Münster is a gorgeous city in the North Rhine-Westphalia region, in Germany. With over 310 000 residents, it is a destination that is famous for its wealth of historic architecture. 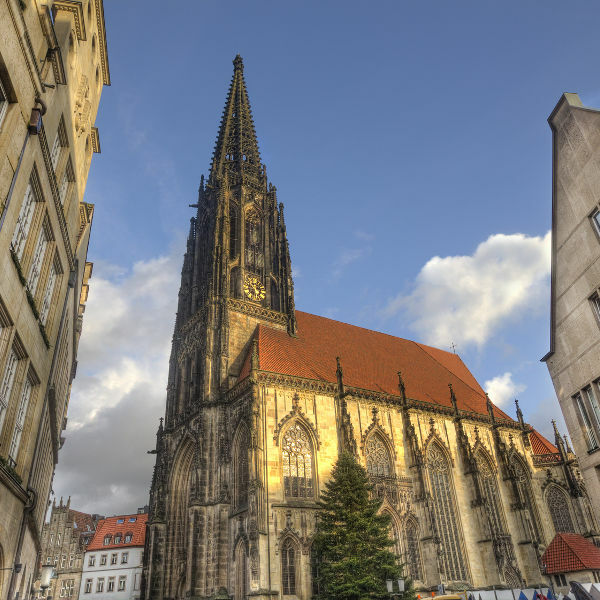 Münster offers you the chance to admire a selection of artworks at art galleries and museums. This metropolis’s top attractions include Aasee, Münster Zoo and Schloss Münster. Prepare yourself for a wonderful holiday experience in Germany, because cheap flights to Münster are available for a limited time! Münster is home to the Münster Osnabrück International Airport (FMO), which is a 25-minute drive from the city centre. While much of the architecture are near replicas of a former time, they still give you a sense of Münster’s history. Admire venues and buildings like Prinzipalmarkt and Friedenssaal. 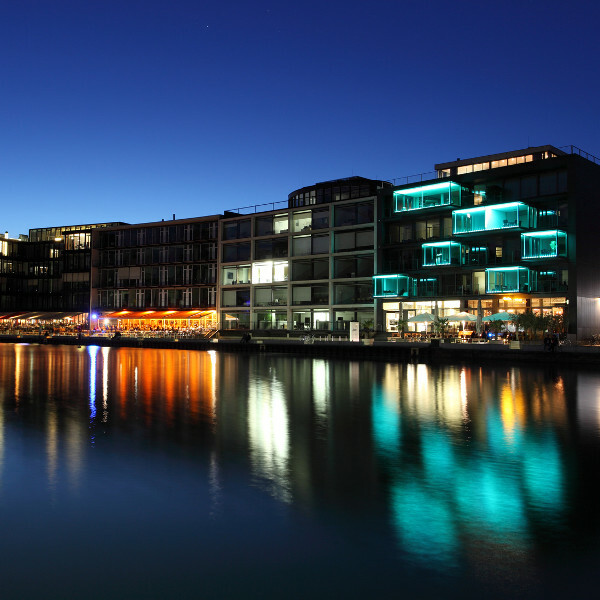 Many of the eateries around Münster additionally offer lovely settings, such as those situated around Kreativekai (Creative Quay), the inner harbour of the city. 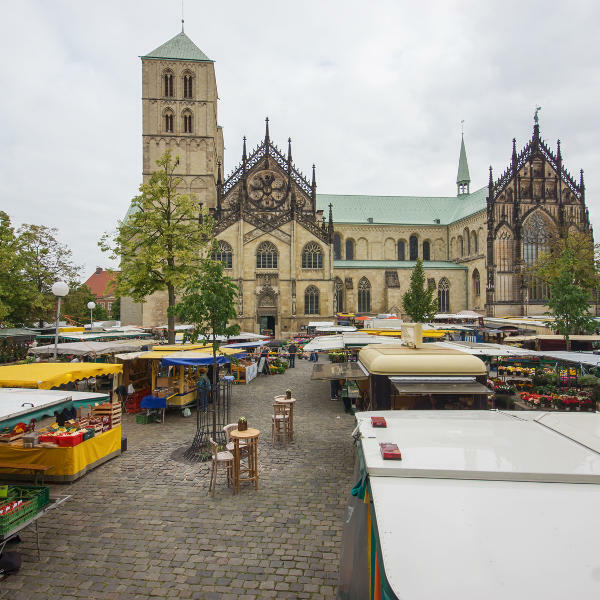 The activity you will experience in Münster is due in part to the shopping scene. Visit locations like the Wochenmarkt to explore all the fresh produce, clothing and trinkets. While Münster is popular as a venue for fans of history, you’re more likely to rub shoulders with the locals than other foreigners. You’re welcome to visit anytime of the year, however, if you want the best holiday experience, visit during the summer, when the temperatures are at their most comfortable (as high as 22°C). Enjoy exploring the beautiful streets of Münster with such favourable conditions. Take a step back in time with a visit to the historic city of Münster. While the architecture of its Prinzipalmarkt will certainly make you think of this German destination’s past, you’ll be surprised to know that this area was reconstructed from 1947 to 1958, due to being mostly destroyed during World War II! This metropolis in North Rhine-Westphalia counters its historical wealth with a vibrant scene, with cycling being the dominant mode of transport and an energetic student population. Immerse yourself into this lively culture with the range of culinary attractions, many found near Aasee Lake, such as Altes Gasthaus Leve and Noites de Lisboa. For more of Münster’s culture, explore the assortment of museums and art galleries, such as Stadtmuseum and Galerie Simon Nolte. Compare several airlines, and book your cheap flights to Münster online at Travelstart. Get up to date on all the routine vaccinations you require before you leave for Münster. We also recommend that you guard against hepatitis A (spread through contaminated food and water), hepatitis B (spread through sexual contact, contaminated needles and blood products) and rabies (spread through the bites of infected animals). The main crime to worry about in Münster is bicycle theft. Your bike needs to be locked whenever you’re not using it, even if the time is as short as one minute. It’s best to get a strong bicycle lock. There are numerous parking garages for bikes. The biggest one is available outside the main train station.